Our kitchen and bath designs speak for themselves because we take pride in what we do. We don’t hesitate to think outside the box and create custom designs to fit your specific needs. For over 20 years, Rose Hill Kitchen and Bath has been committed to offering our customers quality cabinetry at competitive and affordable prices. Zarrillo's Custom Design Kitchens, Inc. Custom Design Kitchens has built its stellar reputation and repeat clientele upon years of adhering to the company's core values: providing clients with quality furniture and cabinets built to last. Interior & Architectural Design Studio based in Provincetown since 2007. Whether traditional or modern, we create high quality, comfortable spaces based on our clients' individual style. By understanding each client we are able to tailor each project to the particular client’s needs and desires, both pragmatic and aesthetic. Contact us today for your home design needs! The Cabinetry emphasizes integrity, courtesy, communication and precise attention to detail. 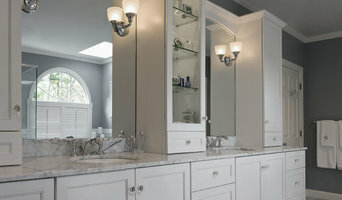 It is a boutique business that specializes in crafted cabinetry and complete kitchen and bath design. 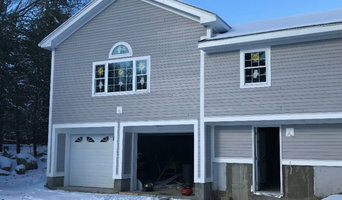 MAPLE VALLEY DESIGN BUILD is a full service architectural design and build firm specializing in energy efficient building design and construction in southern Vermont and Massachusetts. Birdseye Design is an award winning architecture studio specializing in custom residential design. The work has been widely featured in design magazines and international architecture design books. My objective is to blend contemporary and eclectic design sensibilities in order to express the unique quality of each design situation. 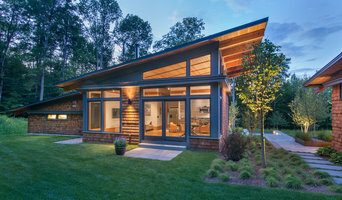 3x Best of Houzz. RemodelWerks is a premier 3D design, custom building and remodeling firm specializing in all aspects of interior and exterior design and remodeling on residential and commercial projects.